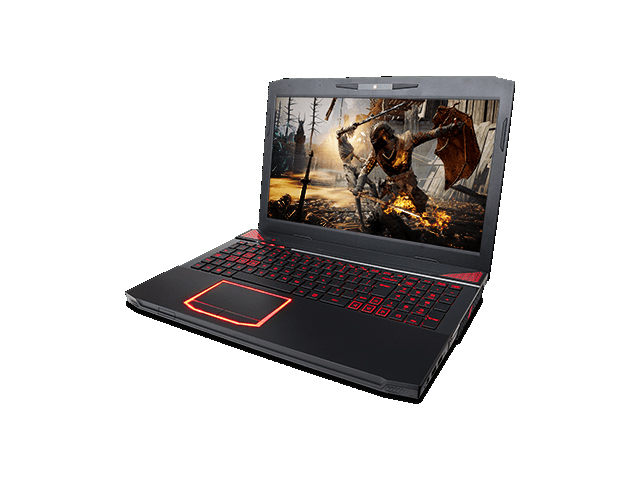 Cyberpower's Frangbook III HX6-200 offers a well rounded package for those looking at a 15-inch gaming laptop. Performance is strong and the display is better than many other system. 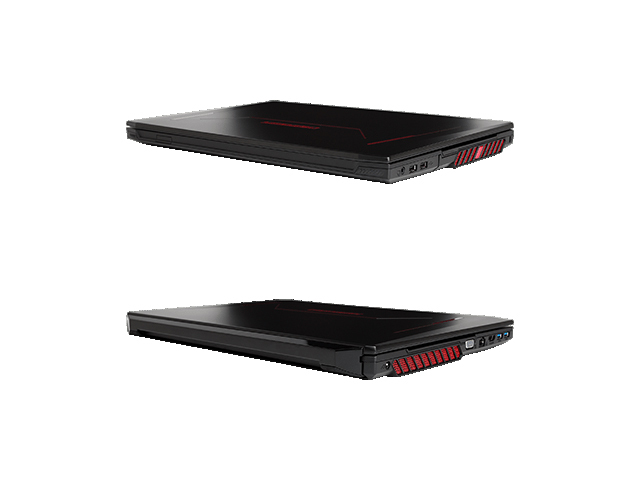 The customizable lighting makes it stand out from the standard black gaming notebooks. The lightweight is nice but also highlights one of its biggest problems with a smaller battery that results in shorter running times. 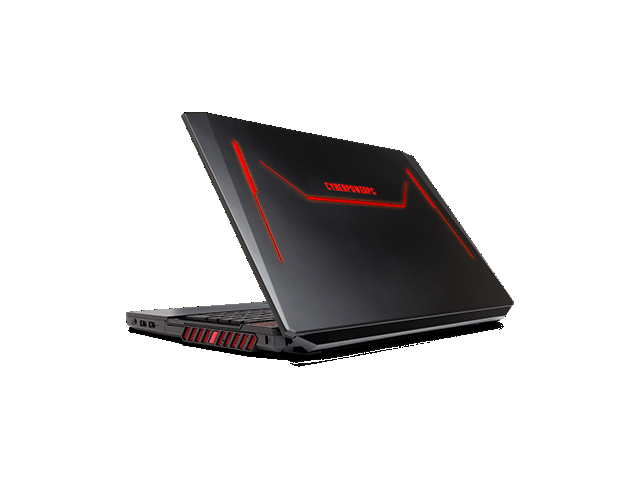 Model: The Cyberpower Fangbook III is a gaming laptop which Cyberpower deems being able to "perform as hot as it looks". 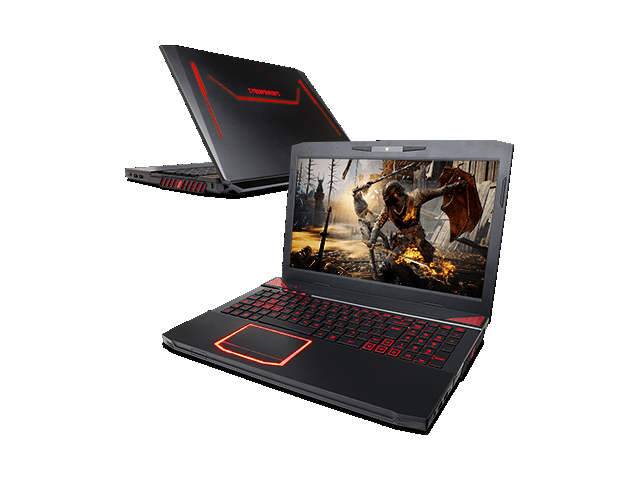 It runs on an Intel Core i7 Extreme Chip clocked at between 2.8 GHz to 3.1 GHz along with a NVIDIA GeForce GTX 860M GPU with 4 GB of GDDR5 VRAM. It comes with 8GB of RAM, which is expandable to up to a maximum of 16 GB. Additionally, the Fangbook has a kickstand underneath its casing which automatically unfolds when the laptop is opened for cooling purposes as well as tilting the keyboard, allowing a more ergonomic and comfortable usage for the user. The matte, LED-backlit display has a size of 15.6 inch and a resolution of up to 1920 x 1080 pixels. The built-in storage of the Fangbook is a 1 TB HDD, which can also be swapped out for an SSD. In addition, the laptop delivers three USB 3.0 ports, two USB 2.0 ports, and an 11ac WiFi card with Bluetooth 4.0. Finally, it has a 4-cell lithium ion battery, which can last up to 5 hours of continuous usage. The laptop including battery weighs in about 2.6 kg. 5700HQ: Broadwell-based quad-core processor for notebooks. Offers an integrated HD Graphics 5600 GPU and is manufactured in 14 nm.» Further information can be found in our Comparison of Mobile Processsors.